The time is ripe for avocados. Too ripe? Let’s hope not. The first time I laid eyes on an avocado, I was 18 years old. And I had absolutely no idea what I was looking at. Where I grew up, “alligator pears,” as they were once known at fussy restaurants, were an anomaly. This was eons before guacamole was available in plastic tubs next to the fresh salsa in the refrigerated case at supermarkets across the land. These days, Americans consume 141 million avocados — and that’s just on Cinco de Mayo. 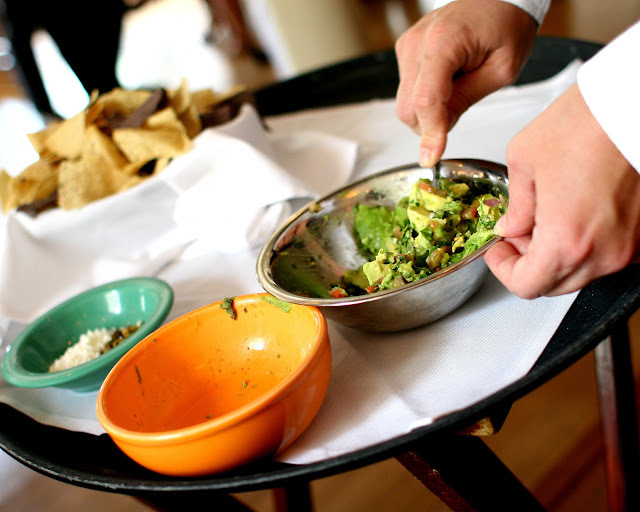 They’ll be making plenty of guacamole all over town — and the nation — this week. Why? Because unlike bananas, whose skins clearly indicate their state of ripeness, avocados are far more secretive: What you hope to see is not always what you get. Perhaps you’re familiar with this scenario: You buy a “ripe” avocado and find that it’s not ripe enough. Or you attempt to ripen one for future use, leaving it sitting prettily in a bowl on your kitchen counter. Just when you’re convinced it’s perfect, you take a knife to it and find the fruit is not creamy — it’s mushy. And instead of lovely avocado-green flesh, you’re confronted with (surprise!) brownish-black bruises. What are we doing wrong? That’s what I set out to find out. What you’re looking for in a ripe avocado depends on what you’re ripening it for, says Martin Garcia, the man responsible for getting the best prices on the best product for the local Tacos Guaymas chain. His avocado of choice: the Hass. Preferably from Mexico or California. Those, he says, have more “meat” than the Chilean version. If you’re lucky enough to live near Country Farms, on Highway 99 in Edmonds, you can regularly get your hands on “Pee Wee” Hass — my favorite avocado, notable for its buttery meat and small pit. This week, they were three for $1. I like to buy these cuties at varying stages of ripeness to use throughout the week. They do sometimes buy hard green avocados, he says, if the price is low. But they plan to store those refrigerated, for a week to 10 days. You can do that, too. According to the California Avocado Commission, you can refrigerate ripe, uncut avocados as well — but only for two or three days. To store cut fruit, spritz it with fresh lemon or lime juice or white vinegar, and keep in an airtight container in the fridge. You can even freeze ripe avocado. Add 1 tablespoon fresh lemon juice per avocado and puree until smooth. Put the puree in a food-safe plastic container, allowing 1/2 to 1 inch of head space for expansion; label, freeze and use within four or five months. Had I known that, I could have saved myself a bundle over the years, seeing how many ripe-when-I’m-not-ready avocados I end up tossing into the compost bin. California grows 90 percent of the nation’s avocado crop, and Hass avocados, the common nubby-skinned fruit found locally, represent 95 percent of that volume. The commission’s advice on ripening an avocado: Place the fruit in a paper bag with an apple for two or three days at room temperature. The apple accelerates the ripening process. When the fruit yields to gentle pressure — please do squeeze the Charmin, but gently, gently — it’s ready to eat. Some supermarkets take the guessing out of the game by affixing a “ripe” sticker to the bumpy skin. But one man’s ripe is another man’s rotten. If time is of the essence (after all, Thursday is Cinco de Mayo), do what I do: Snag the produce guy and say, “Hey! Can you find me a ripe avocado, or three?” Lassik Blair, at my neighborhood Central Market, says the crew there is always happy to slice into an avocado for a taste test. “I’ll cut one for them and find the kind of ‘ripe’ they want.” Any good produce department should do the same. And if they don’t? Find another market. 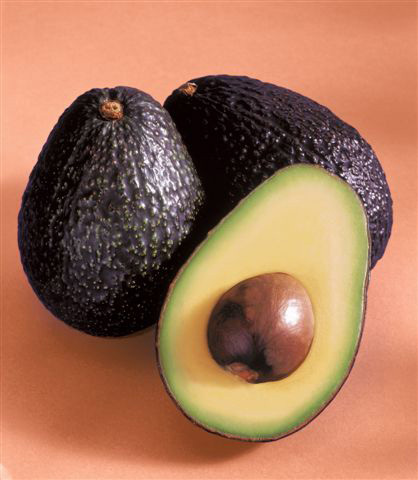 So: Have you get any tips on buying, storing or using avocados that you’d like to share?